Siesta Key Luxury Rental Properties and Siesta Village Outfitters have teamed up to bring all Tropical Breeze Resort guests and Siesta Key Luxury Rental Properties guests the convenience of adventure rentals at your fingertips. 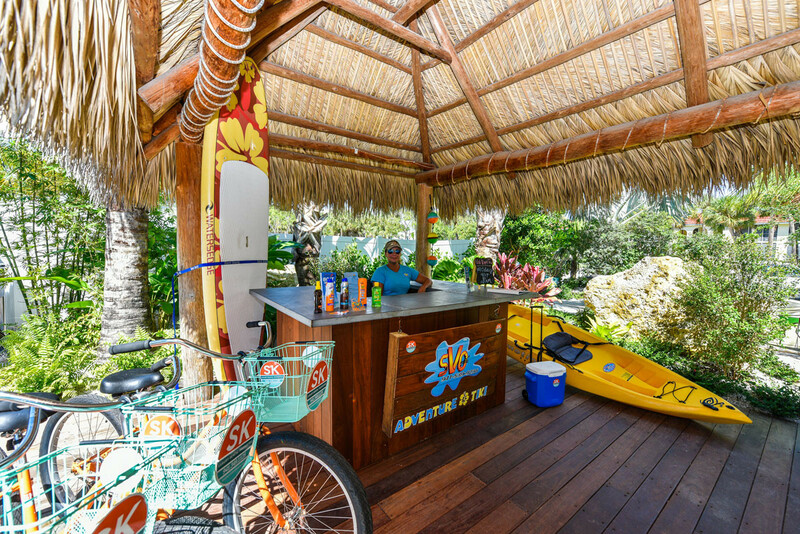 All guests receive a complimentary free 2-hour bike rental per day, along with complimentary beach chairs and umbrellas. In addition, guests now have access to everything you need for fun in the sun at the beach. 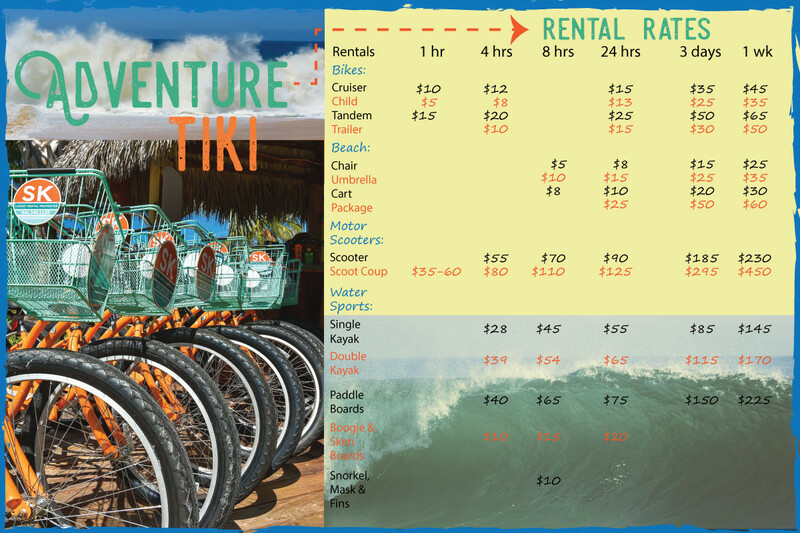 Your choices are all available for rent onsite at Tropical Breeze Resort! The Adventure Tiki is conveniently located right by the hotel office. Guests can also opt to rent bikes for longer duration’s for a nominal fee. Other beach must-haves like sunscreen are available for purchase at Adventure Tiki. Schedule a kayak tour, charter fishing, or select a full Beach Package with the help of our knowledgeable staff at Adventure Tiki. We offer bikes and beach accessories for young children, as well as everyone young at heart. Our goal is to make your stay at Tropical Breeze Resort as comfortable and enjoyable as possible. Check out our other guest amenities. Your tropical vacation just got that much easier.